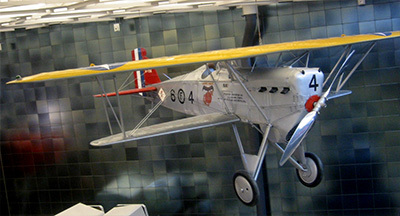 The Marine Corps’ oldest and most decorated Fighter Attack Squadron, then Marine Fighting Squadron 3, was established September 1st, 1925 at Naval Air Station San Diego, flying the Vought VE-7 bi-plane with the now famous “Red Devil” displayed on the aft fuselage. From 1925 to 1941 the Red Devils changed designations and aircraft numerous times before settling on Marine Scout Bombing Squadron 232 (VMSB-232) flying the SBD-1 Dauntless out of MCAS Ewa, Oahu, Territory of Hawaii. After losing 19 of 20 aircraft in the attack on Pearl Harbor and 25 enlisted men in the attack on Wake Island, the Red Devils became the first Marine Dive Bomber Squadron to fly against the Japanese in World War II. From August 1942 to August 1945, first flying the SBD-1 Dauntless, then flying the Grumman TBM Avenger, and designated Marine Torpedo Bombing Squadron 232 (VMTB-232); the Red Devils saw almost daily action against the Japanese, while flying from Guadalcanal’s Henderson Field. After their return to San Diego in November 1945, VMTB-232 was decommissioned until June 1948 when they were recommissioned Marine Fighter Squadron 232 (VMF-232), later moving to MCAS El Toro in September 1950. VMF-232 flew the F-4U Corsair and F-6F Hellcat until March 1953 when they entered the jet age and transitioned to the F9F Panther. They moved to MCAS Kaneohe Bay, Territory of Hawaii in September 1954 and remained there for 12 years flying the FJ-4 Fury and later the F-8D Crusader as Marine All Weather Fighter Squadron 232 (VMF (AW)-232). 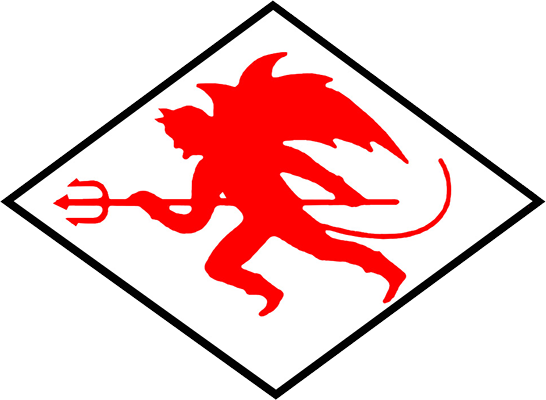 The Red Devils began supporting full combat operations in Vietnam for 290 days in December 1966. During this time they flew 5785 sorties and 7273 flight hours, dropping 6221 tons of ordnance. 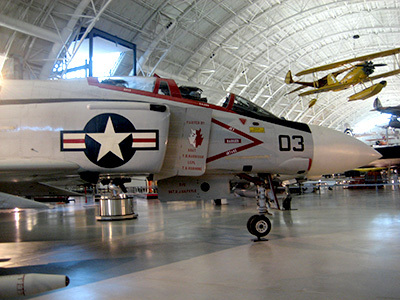 The Red Devils transitioned once again to the F-4 Phantom after returning to MCAS El Toro and were designated Marine Fighter Attack Squadron 232 (VMFA-232). They continued supporting operations in Vietnam flying out of MCAS Iwakuni, Da Nang, Vietnam, and Nam Phong, Thailand. In 1973 the Red Devils became the last Marine squadron to leave Vietnam. After returning to MCAS Kaneohe Bay, Hawaii and transitioning to the F/A-18 Hornet in June 1989, the Red Devils deployed to Shaikh Isa Air Base, Bahrain, and were among the first to cross the Iraqi Border during Operation DESERT STORM. During 41 days of combat the Red Devils flew 740 combat sorties and 1390 flight hours. In February 1995 the Red Devils returned to their original home in San Diego. In 2003 the Red Devils deployed to Ahmed Al Jaber Air Base, Kuwait in support of Operations SOUTHERN WATCH (OSW) and IRAQI FREEDOM (OIF). From March to May of that year they flew over 800 combat sorties and 1700 hours dropping more than 640,000 pounds of ordnance. The Red Devils deployed three more times from May 2005 to May 2008 aboard the USS Nimitz (CVN 68) in support of OIF and Operation ENDURING FREEDOM (OEF). The Red Devils continued their support of OEF in 2010 deploying as the first land based squadron to Kandahar, Afghanistan. Flying under the call sign “STOIC”, they flew over 1700 combat sorties, 4900 hours, dropped over 71,000 pounds of ordnance and shot over 20,000 rounds of 20MM in support of Marine ground troops. In 2012 they deployed to the Western Pacific region in support of the Unit Deployment Program and again from September 2013 to March 2014. One year later the Red Devils deployed to Shaikh Isa Air Base once again as “STOIC” in support of Operation INHERENT RESOLVE. From April to October 2015 the Red Devils flew 775 sorties, 4,918 hours and dropped 392,500 pounds of ordnance against Islamic State positions, personnel, and equipment. Upon return to San Diego in November 2015, the Red Devils will celebrate a historic 90th anniversary as the Marine Corps’ oldest and proudest Fighter Attack Squadron. ​In the Red Devils illustrious history the squadron has received the Presidential Unit Citation with three bronze stars, the Navy Unit Commendation Streamer with two bronze stars, the Meritorious Unit Commendation Streamer with four bronze stars, four Marine Corps Aviation Association (MCAA) Hanson Awards, the MCAA Commandant’s Aviation Trophy, and nine Chief of Naval Operations Safety Awards. 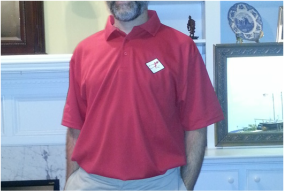 Get an early look at some of the items planned for the 90th anniversary silent auction. Previews of various items will be for sale at the event. Return to the main page for the Red Devils on Squadron Store. Squadron Store/Getz Solutions is not endorsed by any entity of the Department of Defense, the Department of Homeland Security or any First Responder unit, department or detachment. This site is not associated with the Walt Disney Company in any way. All original works on this website are copyright and all rights reserved and may not be used without written permission.